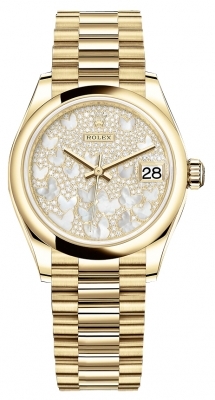 Rolex is a registered trademark of Rolex USA. 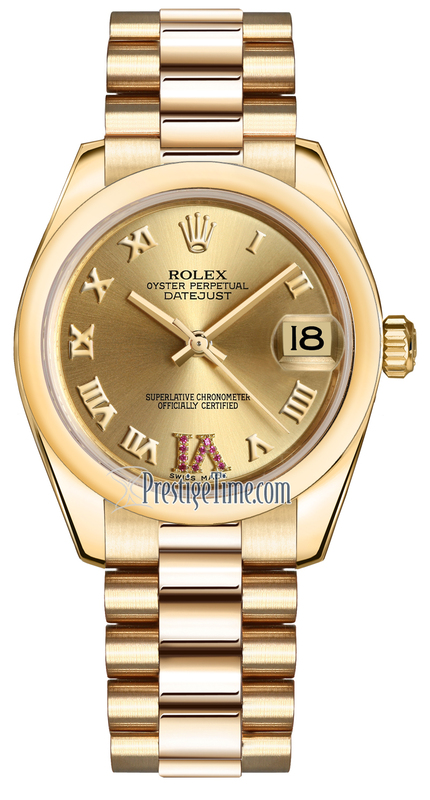 Prestige Time LLC is not an authorized dealer for Rolex and is in NO WAY affiliated with Rolex SA or Rolex USA. 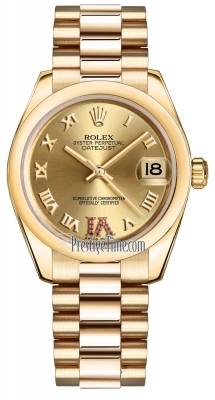 All Rolex watches sold by Prestige Time LLC are in UNWORN condition. Polished 18kt yellow gold case. Polished 18kt yellow gold crown. 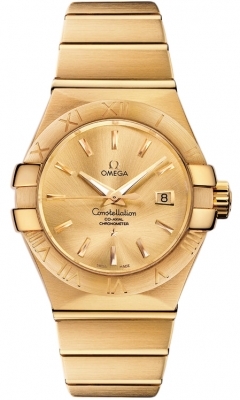 Polished 18kt yellow gold domed bezel. Applied polished 18kt yellow gold Roman numerals with VI hour marker set with 11 rubies. Polished 18kt yellow gold hands. Date window displayed at the 3 o'clock position with a cyclops magnifying lens. 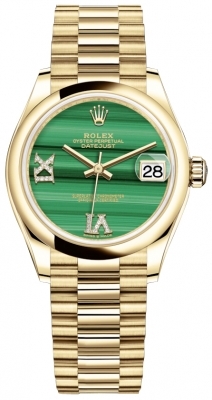 Rolex Caliber 2235, beats at 28,800 vph, contains 31 Jewels & has an approximate power reserve of 50 hours.